October 23rd-27th is College Application Week! 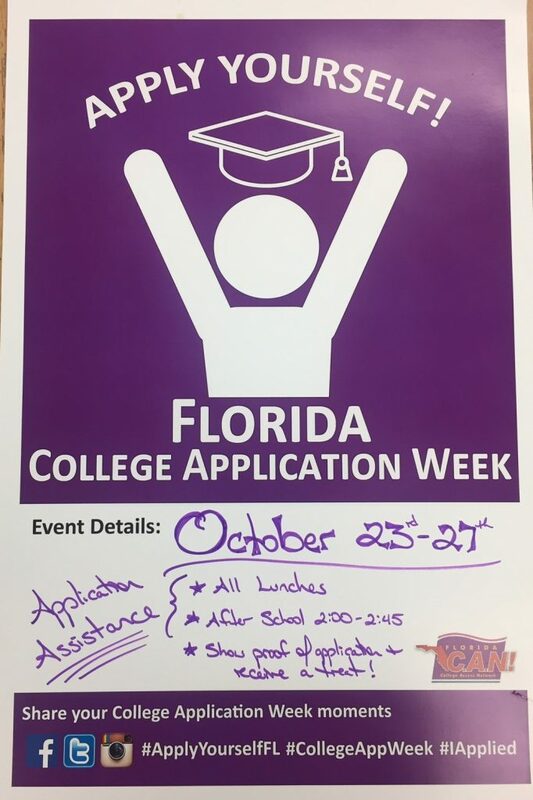 In partnership with Florida College Access Network, AHS College & Career we will be encouraging, supporting, and motivating seniors to complete their college applications during this week. College & Career will be open to seniors only during both A and B lunches, and after school from 2:00-2:45, in order to help with application completion and laptops will be available for electronic applications. In addition, for showing proof of application submission, seniors will receive both an “I Applied!” sticker and a treat. 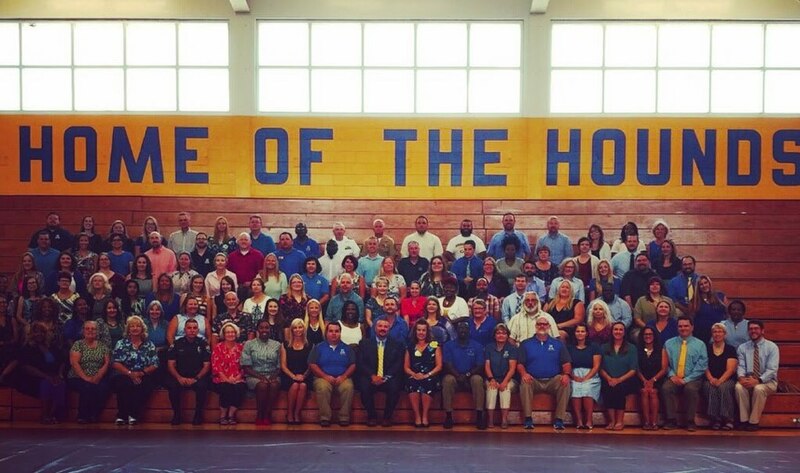 Let’s show everyone how many #CollegeBoundBloodhounds we have in the Class of 2018!! Wednesday, November 14th: Imperial Symphony Orchestra Concert and Ballet at Youkley Theatre 7:30-9:30pm FREE event with Student ID. We will travel together. Wednesday, November 29th: All-National Honor Band, Field Trip at Disney Colorado Springs Resort 10:00am, Bring $$ for lunch. Please congratulate Caleb Nelson, Ryan Yates, Breanna Thornton, Kalyn Jackson, Tyler Hall, Tyler Brannan, and David Dorman as they represent AHS at the National FFA Convention in Indianapolis, Indiana next week! Please join us for our first School Advisory Council meeting, which takes place on Monday, October 23 at 6pm in the Media Center! College Bound Bloodhound – the 1st of 2017-18! Congratulations to Brandon Collins, who was accepted into the University of South Florida!! He is our first #CollegeBoundBloodhound on record for the Class of 2018! Brandon we are extremely proud of you and excited to see what you will make of your future as you #ReachHigher! As a reminder, Seniors are encouraged to turn in all College applications by November 1st, in order to have the best chance to gain entry into the college or universities of your choosing. When you receive an acceptance or scholarship, be sure to report it to Mrs. Cook in College and Career, so that we can celebrate your accomplishments! The Imperial Sound of Auburndale placed second in the 3A Class last Saturday at Durant High School. They also earned Best Visual Caption. Their next performance will be at Lake Region High School at the Thunder Showcase this Saturday at 6:20pm. The Florida Bandmaster’s Association Music Performance Assessment will be held at Denison Stadium on October 21st. The ISA will be performing at 6:30pm. Join us for a walk in the park as we explore My Favorite Things, Hallelujah and Simple Gifts!